Buying a home can be exhilarating, and that’s doubly true when it will be your first time owning your own place. It’s very easy to see a house that has additional aspects you love, such as a fireplace, deck, or pool, and suddenly be willing to throw in $50,000 over your price limit. When you get a mortgage, the lender is not going to know everything about your spending habits and financial responsibilities. They have to determine the maximum mortgage they can get you based on how much money you have coming in and that they know is going out – debt-to-income ratio. 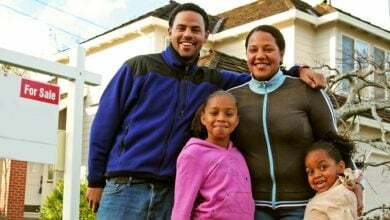 Many people who are buying their own home expect their income to continue to grow and become overly emotional as they look at properties, says US Bank Home Mortgage regional manager Michael Harrison. Carried away by the process, these individuals “borrow the absolute maximum they can afford instead of allowing themselves wiggle room for a partial loss of income or for future expenses such as children,” Harrison explains. Rather than going to talk to someone about a mortgage as your first step, it’s a wise idea to first figure out what you really want to have to pay each month on a home. In some cases, homeowners experience payment shock (which usually occurs in response to increased monthly payments on an individual loan) upfront. Their rent might have been $700, and they now need to pay $2500 on their mortgage, for instance. Foregoing home inspections or contingency clauses. As you search for a house, it’s common to find properties that have been spruced up but have serious problems. It’s critical to get an inspection so that you have a professional opinion on the condition of the house. For instance, the inspector might advise you that the insulation is thin or that there is an issue with mold. Speaking with a bank or other mortgage provider to try to get prequalified for your mortgage has got to be at the top of your list when you know you are going to want to buy in the near future. Going and getting a consultation ahead of time is simply reasonable preparation, according to Weichert Financial Services president Stephen Adamo. “Every buyer needs to get prequalified early enough in the process so that they can make some changes if they need to or correct errors on their credit report,” he says. In fact, you may realize that you want to save money for a year, improve your credit score, or collect a bigger paycheck before you buy. Allowing excessive optimism or pessimism to rule. When buying a home, it’s best to have a balanced approach that views the property objectively. However, many people are naïve in a couple of ways when they buy their first home: underestimating the cost of needed repairs or buying their dream house in a rough neighborhood rather than a fixer-upper in an area they love. Pessimism can also be a problem. New homebuyers who think that something is sure to go wrong won’t want to make a reasonable offer. If that pessimism applies to their perspective on the real estate industry as a whole, they might be paranoid and suspect that their real estate agent isn’t on their side. Forgetting to consider homeowner’s insurance, property taxes, closing costs, and HOA fees. Renting is simple: one check a month. Maybe you get renter’s insurance on the side. However, homeownership involves various costs beyond the mortgage. You may have to pay hundreds of dollars each month to your homeowner’s association, for instance. Both property taxes and homeowner’s insurance will be considerably dependent upon your location. If you buy in Florida, the average rate to insure your house is $161. The cost to insure the same house in Wisconsin or Idaho is less than a third of that figure. Property taxes have similar discrepancies nationwide. If you jump into a house that is almost out of your price range and can’t put down a full 20% down payment, says Erika Rawes of Wall St. Cheat Sheet, you will often have to make an additional insurance payment: “[P]rivate mortgage insurance (PMI) — which is basically insurance for the lender in case you default on your loan” – is often required in these cases, she notes. We’ve all heard that the three rules of real estate are location, location, and location. 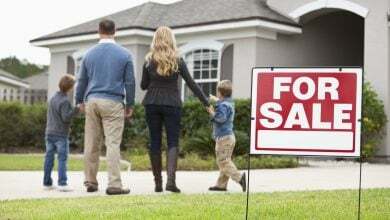 That doesn’t just mean living in a certain ZIP Code but locating neighborhoods where you will best be able to establish the life you want for your family. Realty.com integrates information about community amenities and school systems so that you can better filter your options and aren’t wasting any time. Find a new home now!